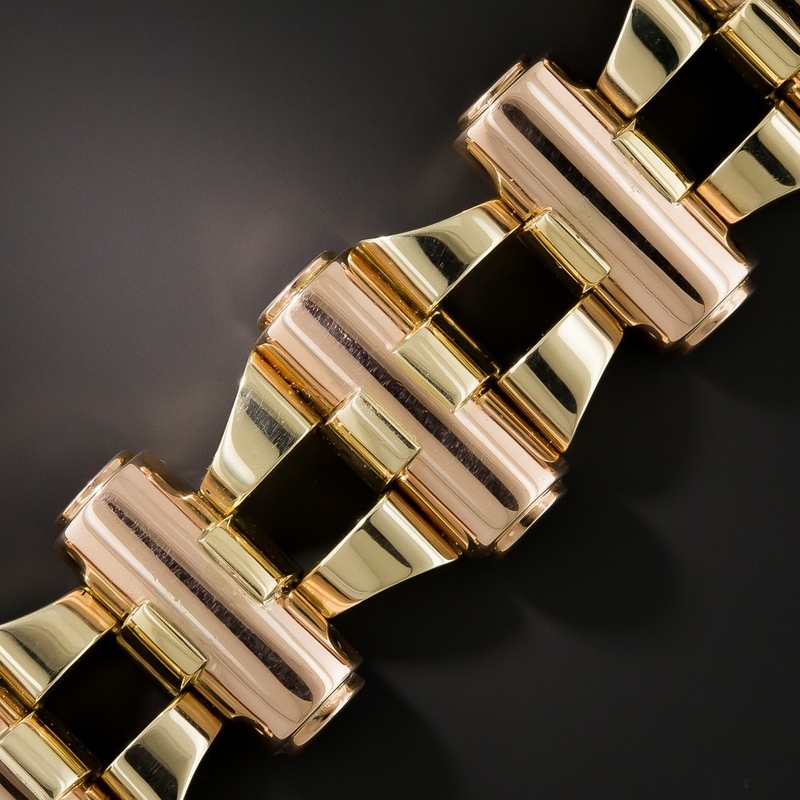 Like fine wine, fine jewelry also has a “vintage”—the design period or era from which it hails. 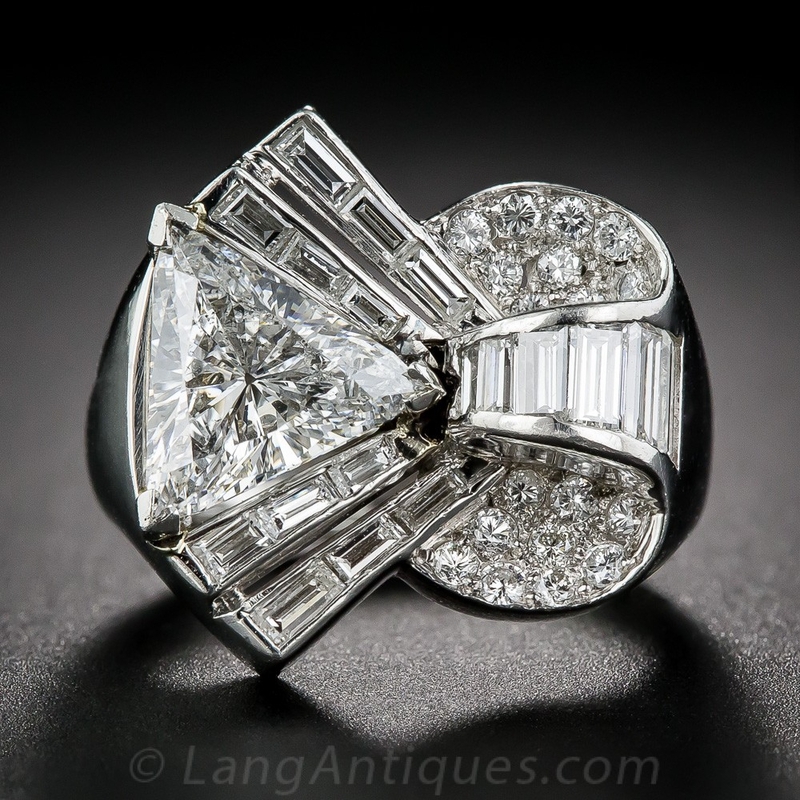 Victorian or Edwardian, Art Deco or Retro, each piece in our collection has its own special pedigree. But just because one era ended and another began, it doesn’t mean that creative jewelry makers simply forgot the lessons of the past! 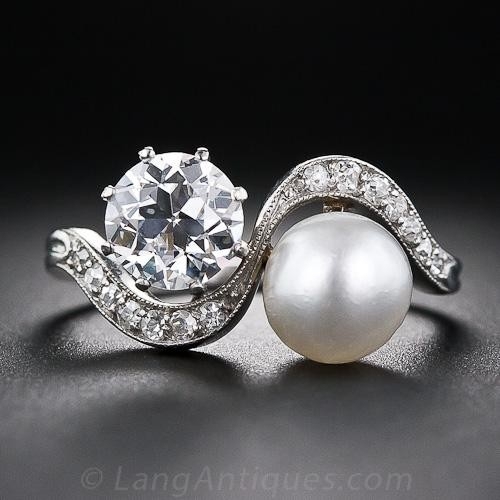 Many of the jewels in our cases refuse to conform to a single design period, either by striking out on their own or showing the transition from one era to the next. 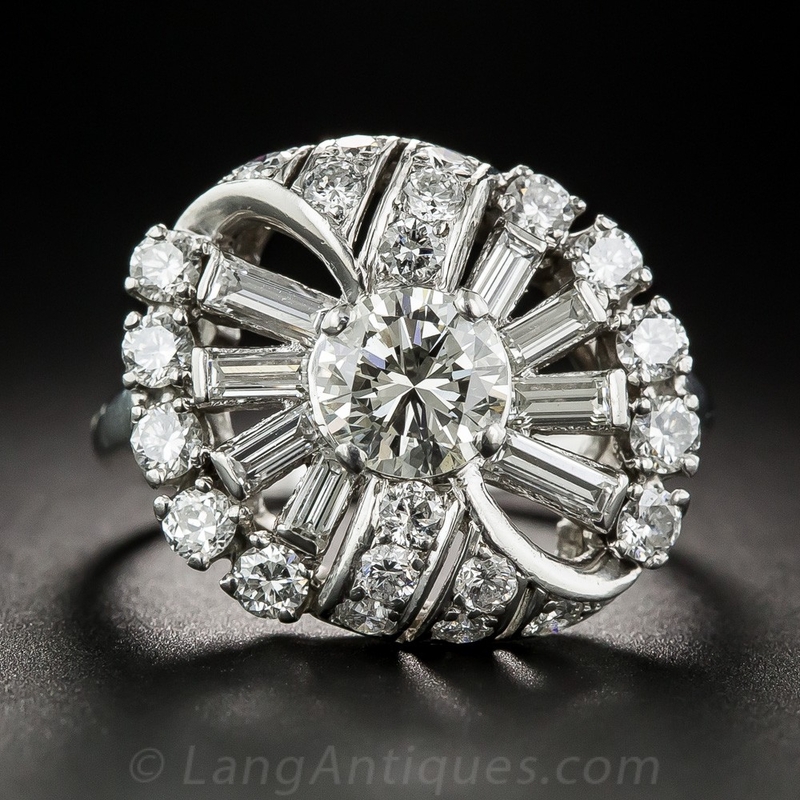 When such daring dazzlers are over one hundred years old, they’re generally grouped in the antique category. Anything younger than that, but still made before 1970, fits the vintage label. Every iconic era yields both singular and transitional pieces, like the ones we’ve assembled here. Follow the link at the end of each section for more about the aesthetics and history of the period. 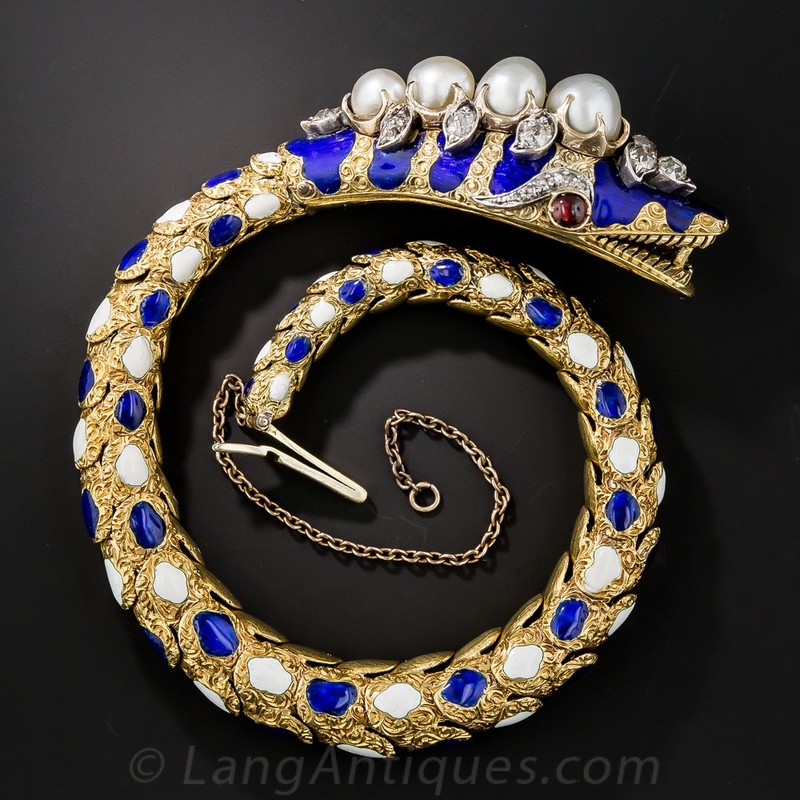 True antiques, Georgian jewels are the earliest pieces in our collection. Lovely foil-backed stones in mixed-metal settings were made to shine by candlelight over dinner and in the drawing rooms of their genteel wearers. Many pieces were made in memory of loved ones or as “memento mori”—literal reminders of mortality that Georgians saw as sophisticated, rather than morbid. 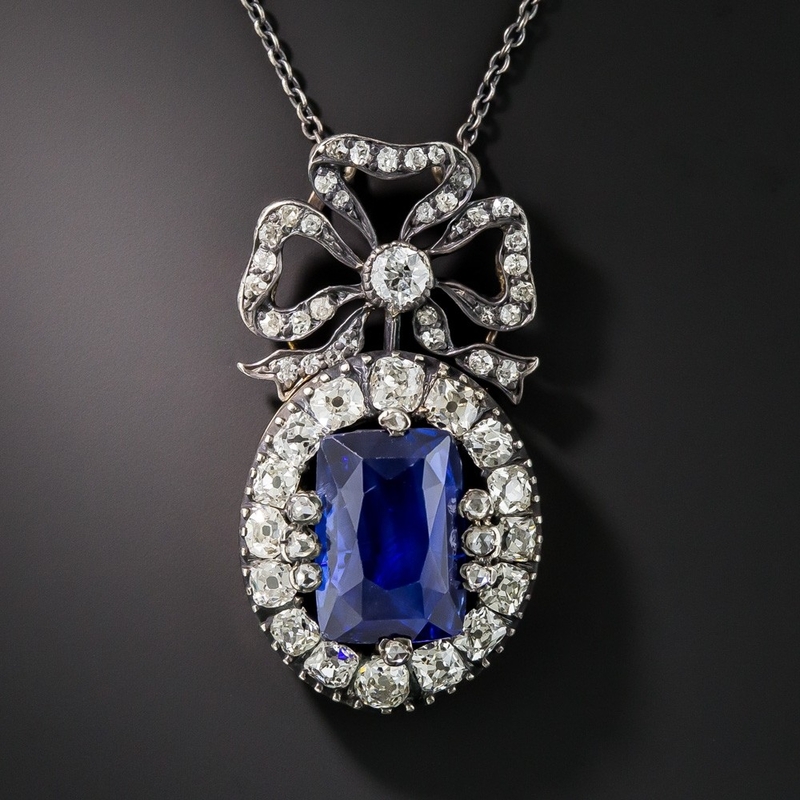 While the delicacy of Georgian era settings has been replaced by more modern methods, the cuts and styles have continued to fascinate jewelry lovers. 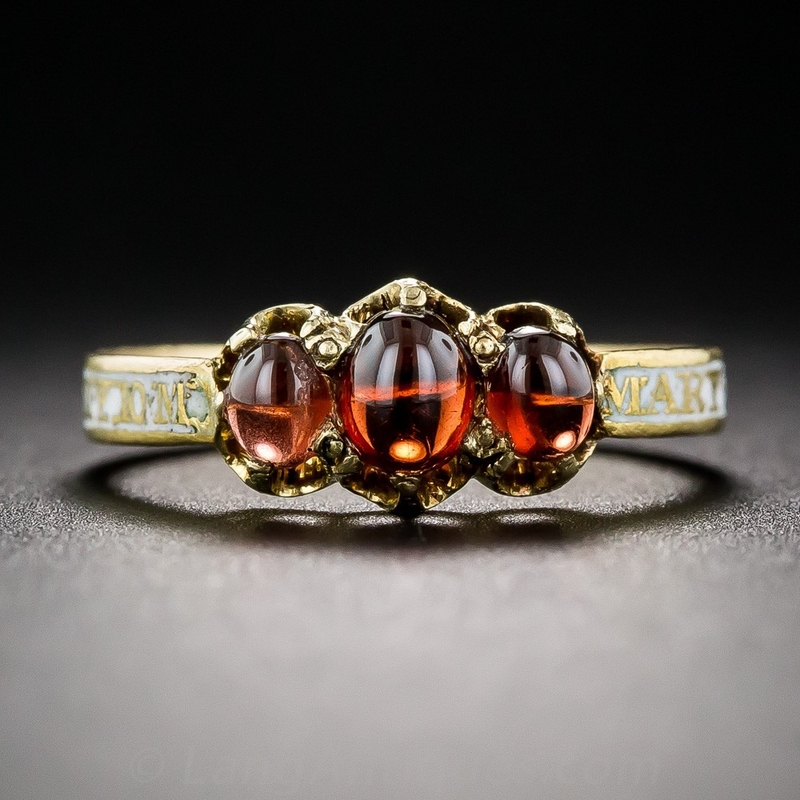 Adorn yourself like a character in your favorite 18th century novel here. 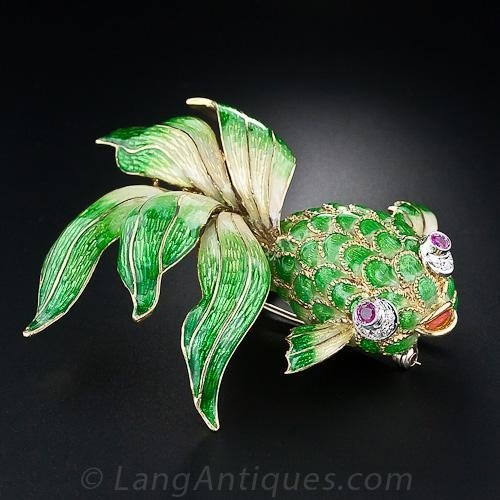 The eclectic Victorians didn’t limit themselves when it came to motifs and themes—if it struck their fancy, they turned it into jewelry. 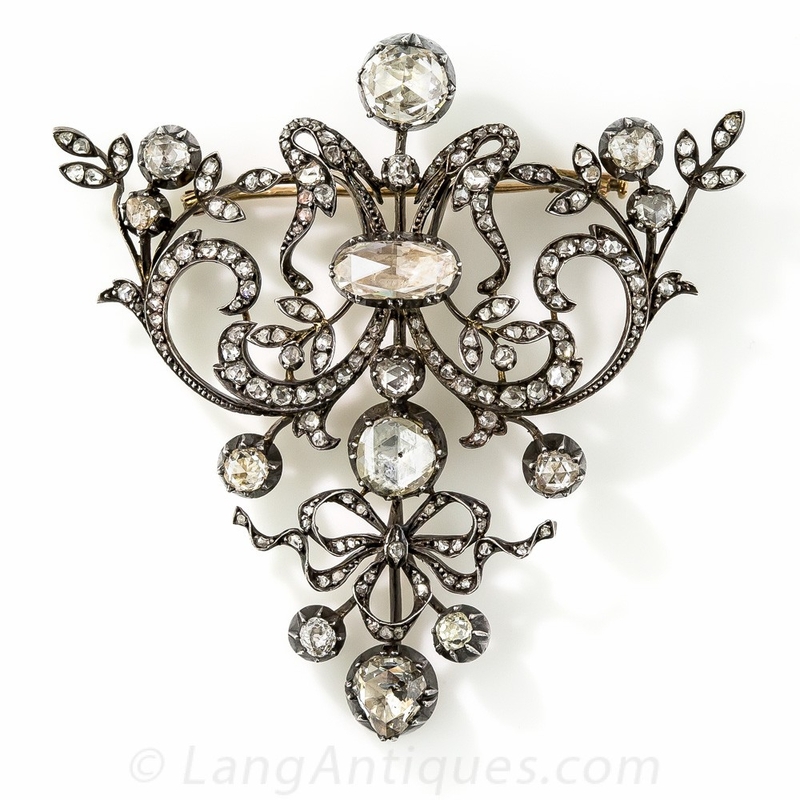 Sweet and sentimental with a distinct romantic streak, Victorian gems expanded upon their Georgian predecessors. The array of styles that blossomed (sometimes quite literally) during this era has never died out entirely. Collect some ideas for filling your cabinet of curiosities here. Looking to go organic? 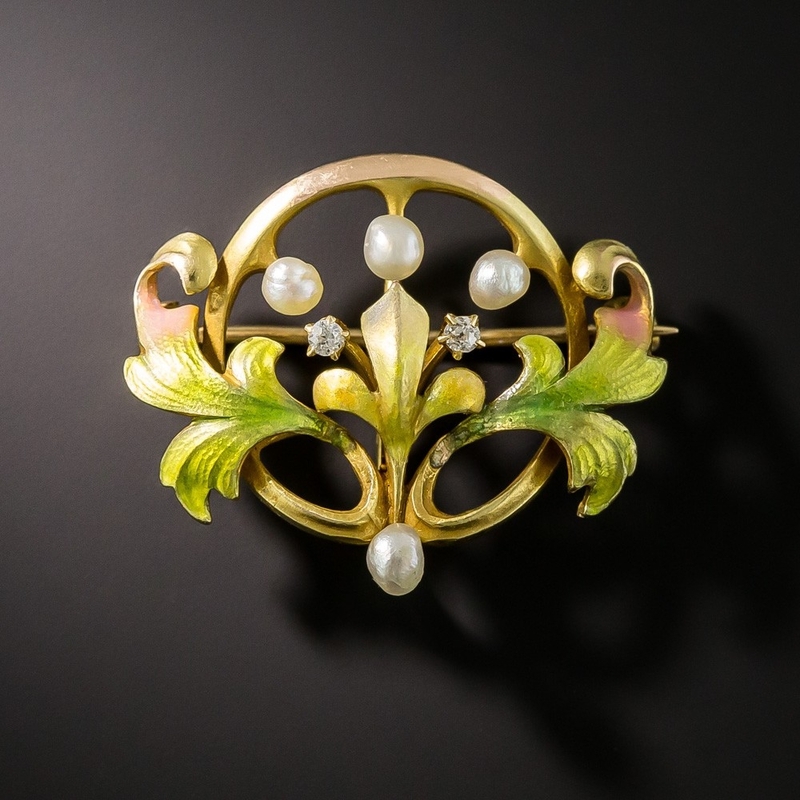 Bummed out (with good reason) by the Industrial Revolution, Art Nouveau makers embraced the natural world and a return to the hand-craftsmanship of an earlier time. Their overlap with both the Victorian and Edwardian eras resulted in a great deal of cross-pollination. 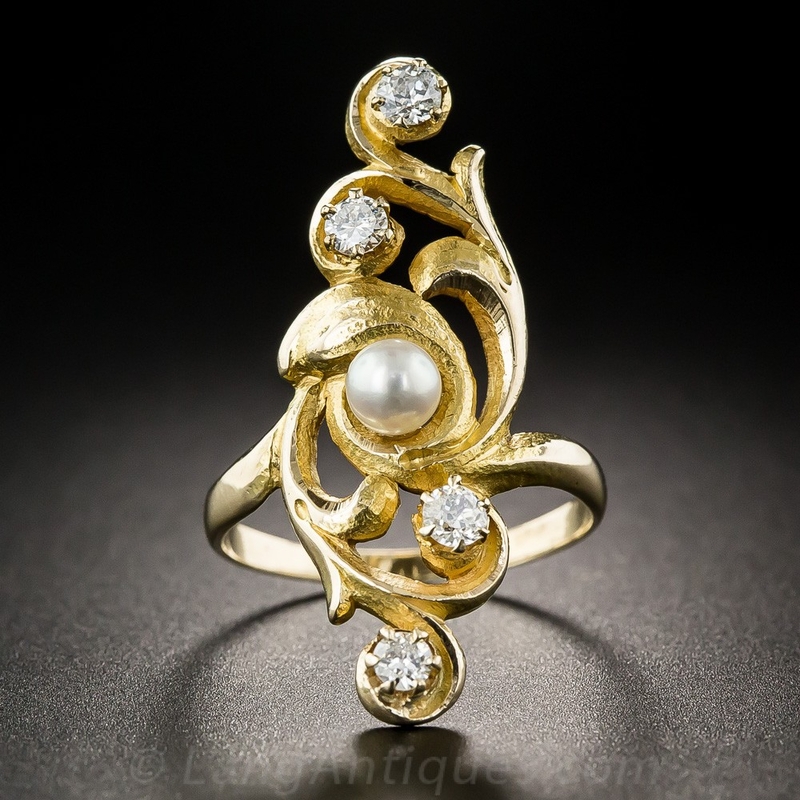 Though relatively short in its purest form, Art Nouveau’s flowing lines continued to weave their way into fine jewelry. Put down roots in the Art Nouveau and the related Arts & Crafts movement here. 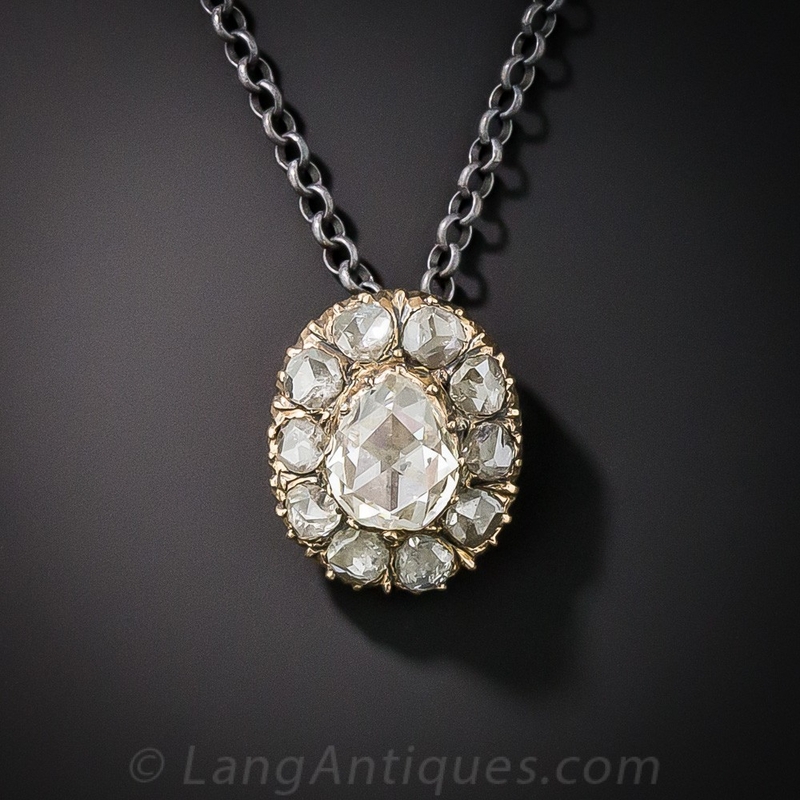 Edwardians took the dark beauty of Victorian jewelry and dyed it platinum blonde. 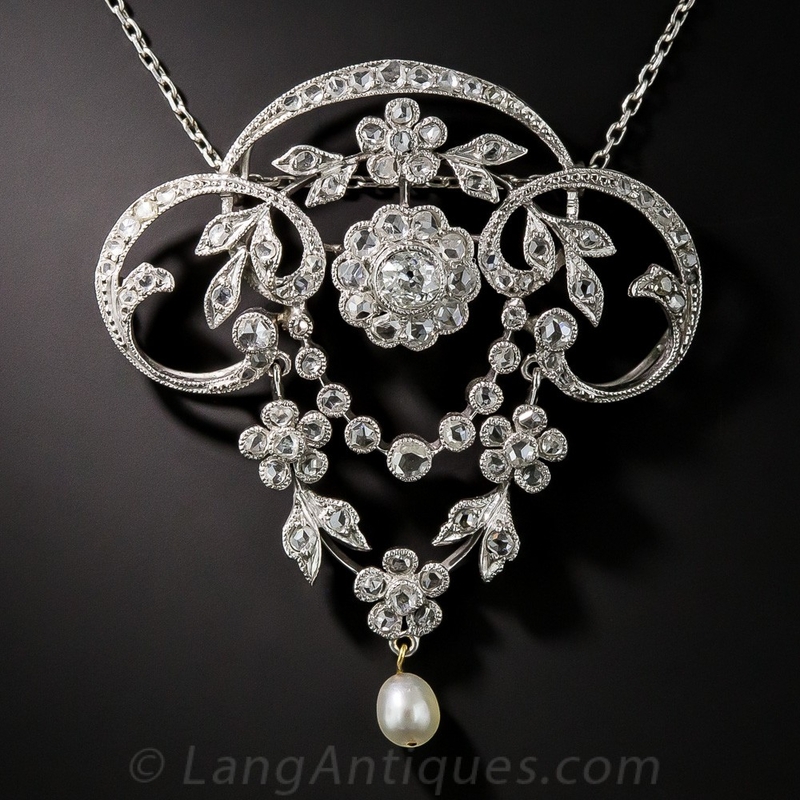 Light and airy filigree, worked with intricate millegrain and detailed designs in that durable metal, was liberally set with the “white” stones—pearls and diamonds chief among them. 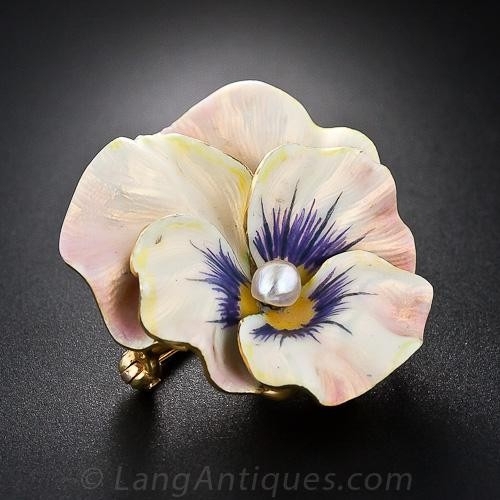 The Victorians’ sense of whimsy and beloved yellow gold didn’t disappear completely, though, even as the Edwardian era made way for the further-streamlined Art Deco. 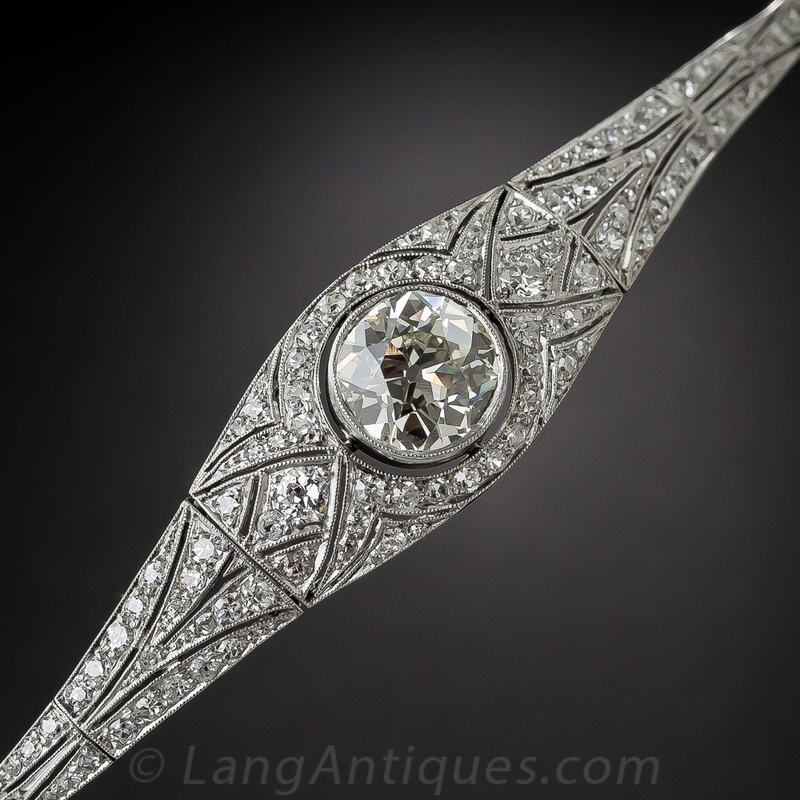 Let the Edwardians weave you a web of platinum and diamonds here. 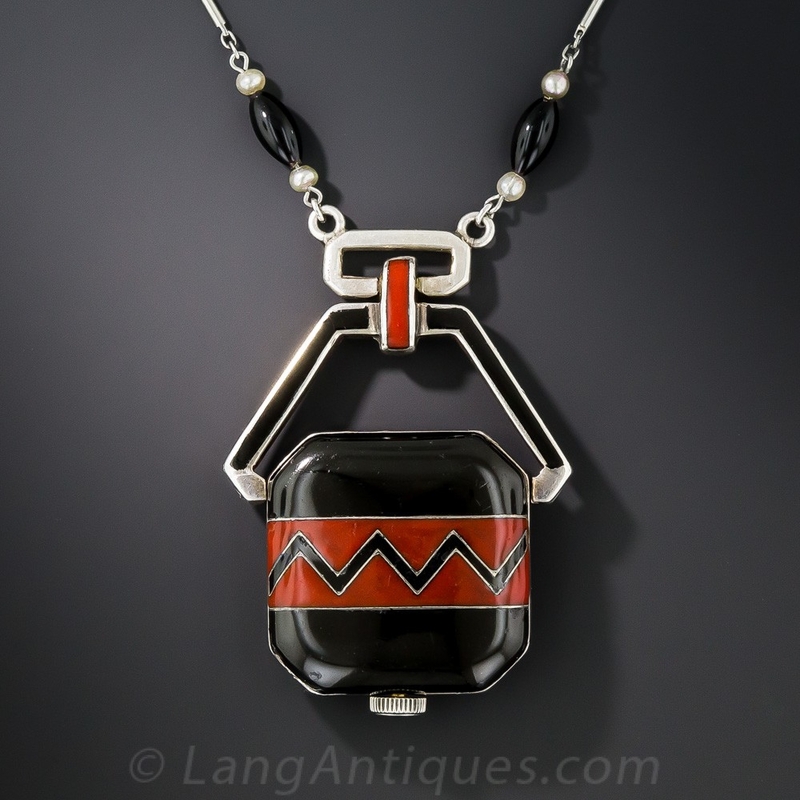 Sleek and modern, Art Deco design brought jewelry into the machine age. Yet these stylish pieces still found room for the fine forms and lines of previous eras within their elegant architecture. In particular, we see many peaceful co-habitations of Edwardian and Art Deco styles together. Speed into all the dynamism of the Art Deco here. 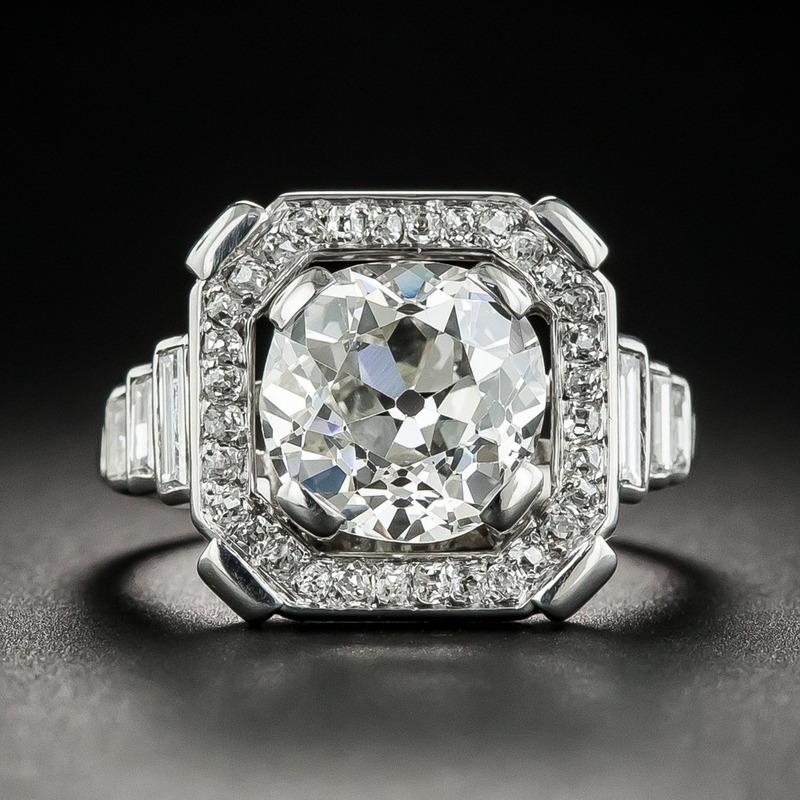 Hollywood glam got creative during the war era, when strategic factors forced jewelers to do without certain materials. Rather than scale back, they took the streamlined shapes of the Art Deco and went big, bold, and gold with them! 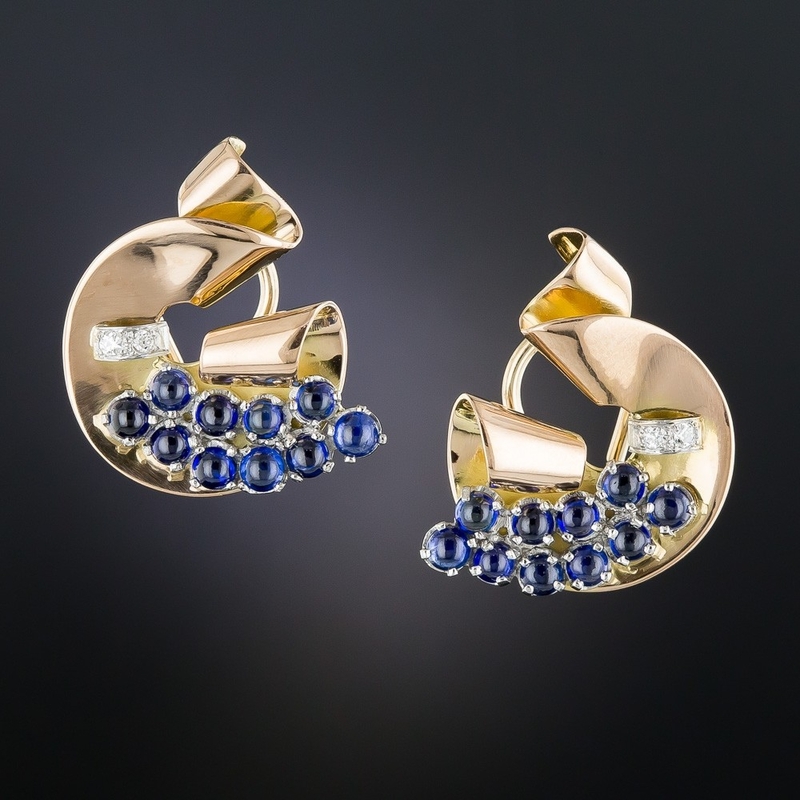 Retro power pieces segued from the Jazz Age to the Fabulous Fifties, creating many motifs of vintage jewelry along the way. See the stars of the era and learn more about their backstory here. 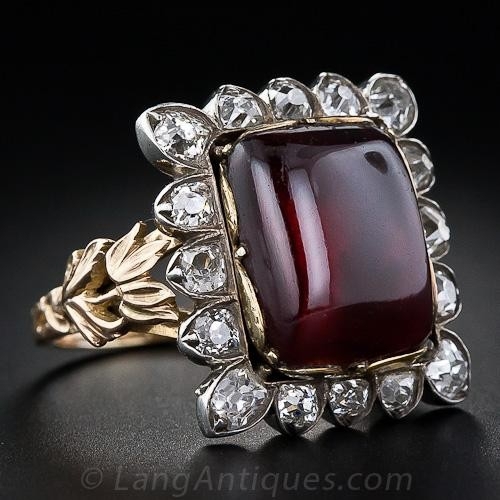 Mid-Century jewelers gave the Victorians a run for their money when it came to variety—with the added bonus of big, bold gems in every shape, size, and color. Themes of previous eras were made fabulous enough to match the optimism of the post-war world. 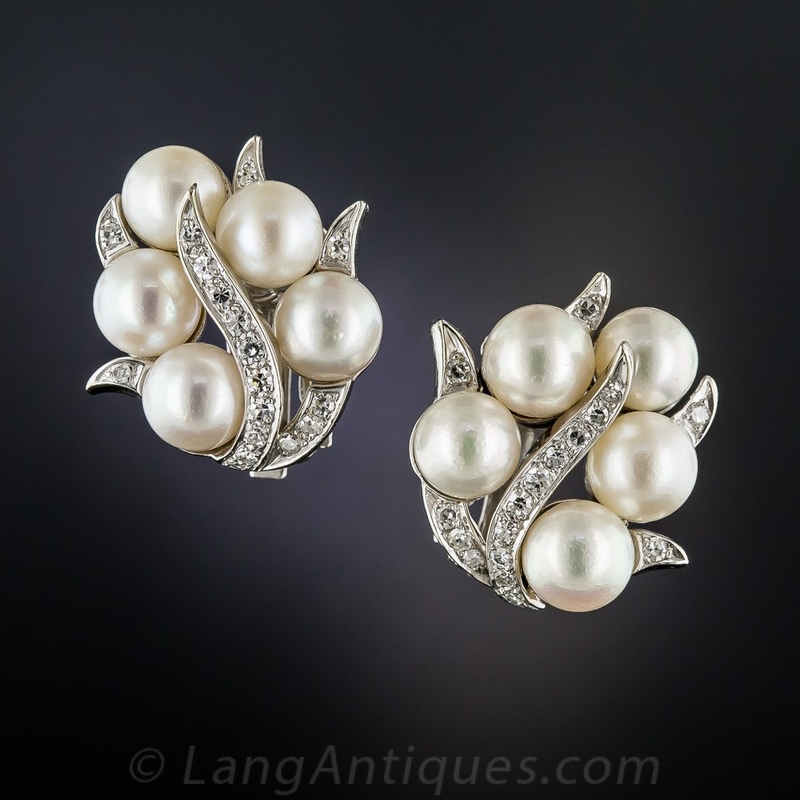 Transitional pieces bridged the gap between the first and second half of the 20th century. Raise a glass to the intoxicating concoctions of the Mid-Century—cocktail rings are just the beginning!—here. Ready to see more? 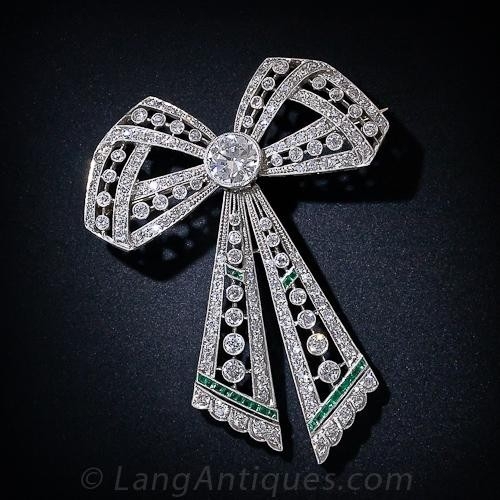 These are just a few shining examples from our vast antique and vintage jewelry collection. Browse every style and era here.